Happy birthday, Madam Noor Jehan! This year, for Noor Jehan’s birthday, I wanted to do something a little different, so I have decided to post a list of seven fine contemporary “Noor Jehan covers.” Of course, they are “Noor Jehan covers” in the sense that they were famously sung by her. These songs could also be credited to some superb poets and composers (that is, the people who wrote them), but most people who know the songs will identify them first by the memory of Noor Jehan’s performance either as a superb playback singer or a beautiful singing star. For those who want to go to Noor Jehan’s versions, I am also linking to the original film scenes – or audio clips if film scenes aren’t available – in my description above each video. I would characterize these versions as a bit unusual, either because of different instrumentation or style or just the fact that the setting and musicians are very far from the glamorous film world. None of these covers are by famous TV or film singers or musical superstars. While this is obviously far from the first time that I am posting contemporary covers of Noor Jehan songs or other film songs, I have done something a little different here in that I am excluding the usual slapped-together electronic remixes. I like remixes just fine, but for various reasons, I wanted to avoid them here. I think that by limiting the selection this way, I also made this list a little different – more earthy, maybe, or heartfelt or musicianly? I’m not sure of the exact way to describe it, but I hope, at least, that some people like this group of covers as much as I do. I know that I have posted this first clip at least a couple of times before. This is the one that I might call “electronic music.” Vasuda Sharma calls it “acapella,” but it is a cappella only in the sense that no musical instruments are mixed and looped along with her voice. In other words, there are certainly sounds other than the pure sound of her voice, unenhanced. Vasuda is a wizard with that electronic music device known as the loop station, and some of my favorite videos of hers show her “live looping” – that is, using a loop station to record sounds during a live performance, then manipulating and replaying the recorded sounds via foot pedals while she continues to sing and/or play instruments, while recording that, too, and so on. I would have loved to see a clip of her “live looping” this selection, but the video is also quite clever and cute. A lot of people do versions of Jawan Hai Mohabbat, and I once even put together a post strictly of covers and remixes of that song. But I think this is my favorite contemporary version, among those that I’ve seen so far. 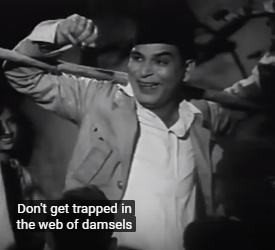 And by the way, if there is anybody who would be reading this post who doesn’t already know…the song is from Anmol Ghadi (1946). Another big classic from Anmol Ghadi that some people like to cover is Awaz De Kahan Hai, and I found this acoustic guitar-based version, by Kashif & Omer, a few years ago. It’s pretty nice for a cover that was done after only 30 minutes of practice (according to the notes on YouTube) and captured only via hand-held recorder and cell phone. “Hidden Talent” is a serial, which discovers the talents in the less privileged and backward areas. 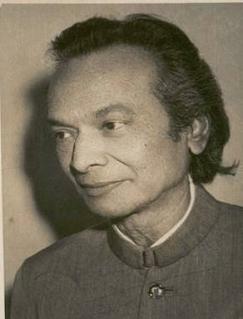 There are numbers of singers, poets and musicians who have been ignored in mainstream of arts. The serial focuses on the talent and highlights their skills. These ignored singers and poets have voices that touch your hearts. We believe that God has put the diverse gifts of talent and ability inside everyone of us. Aziz Sanghur is a documentary filmmaker, who decided to record those singers, poets and musicians who do not have a platform to show their talents and abilities. This video, like most of their others, is labeled very generically, with little information, and it is difficult to figure out the names of the artists. From the continuation of the detailed description below the post, I think the singer might be Zakia Ghazal, though I am not sure. (If you read the paragraphs at YouTube, you’ll see why I am not sure.) Unfortunately, no one bothered even to label the song (other than saying it’s an “Urdu song”). 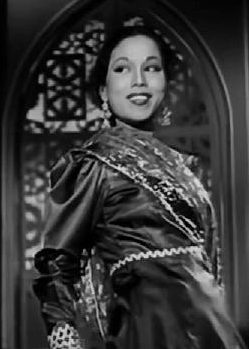 However, I was able to recognize the song as Jis Din Se Piya Dil Le Gaye, which is from the film Intezar (1956). Now for the second of the guitar-based covers (you’ll find a total of three here) and the first of two starring just one person and a guitar… This is Sujit Phatak doing a very heartfelt cover of Kabhi Neki Bhi from Ghalib (1961). A few lines below the video, Sujit writes, “Noor Jehan is my old love because I have an obsession with the tortured dead artists. I walk Manhattan streets – clear blue sky. Strangely thinking of her.” And judging by this performance, I believe him! A few times, I have posted songs from Fanna-Fi-Allah Sufi Qawwali. That group’s singer and co-founder, Tahir Qawwal, has had another group during the past several years, usually labeled as Sufi Soul. A few years ago, I posted a version of “Chandni Rattein” that was by a few members of this group. This time around, I’ve found the group’s version of the song Jadon Holi Jai Lenda Mera Naa, which Noor Jehan sang for the Punjabi film Att Kuda Da Vair (1970). Like many of Tahir Qawwal’s renditions, this is very distinct. One reason is that he is covering a song that is far from qawwali, but her’s doing it in a qawwali style. Meanwhile, his qawwali style, itself, is also unique. I always like seeing clips of this group’s performances, although I like Fanna-Fi-Allah even more. And speaking of unique, that’s a word that certainly applies to the London-based artist and musician named Shabsi Mann. On Facebook, Shabsi describes her music as her “own flavor of avant-garde experimental folk/punk/rock, inspired by her Eastern nomadic roots and rare dimensions.” Within the past few years, she has toured with Ani DiFranco, which is very nice. But guess what, Shabsi also loves Noor Jehan! And she also is committed to some good progressive politics (which I found out by looking at some of her Facebook posts). Anyway, let’s get to the song clip here… This is Shabsi’s rendition of Sanu Nahar Wale Pul Te Bulake from the film Dukh Sajna De (1973). This is the third acoustic guitar-based video that I’m featuring in this post, and it’s the most rocking one. Shabsi said somewhere that it was “done punk rock,” which may be somewhat true, though it makes me think more of old rockabilly. It’s quite different from any other version of this song that I’ve seen or heard, but I think it works well. And I guess that will be it for my collection of unusual Noor Jehan covers. For those who would rather see a post strictly devoted to Noor Jehan’s performances and those who would like to see a lot of information pertaining to Noor Jehan, please feel free to look at my posts from September 21 of prior years. Meanwhile, much as I love the originals, I must say that it was great fun for me this time around to explore other people’s highly creative takes on these songs.